Wickenburg, Arizona to/from Phoenix Sky Harbor International Airport (PHX). Great Flat Rates! More often than not, our town car flat rate fares to and from Wickenburg, and the Phoenix Airport (PHX) are less than taxis charge for the same service. So, why travel in a taxi when you can travel to the airport in style and comfort in any one of our luxury vehicles. >> VIEW OUR RATES. A Luxurious Vehicle Fleet. Whether you are a single executive, traveling couple or a large group, Roadrunner has the right vehicle for you. Depending on the amount of passengers, Roadrunner Limousine’s fleet includes town cars, limousines, SUV’s, passenger vans and even 30+ passenger coaches. All our vehicles are clean, comfortable, private late model luxury vehicles equipped with GPS Navigation systems. 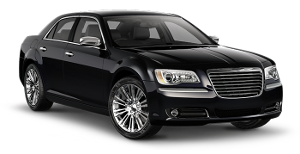 So, why take a bumpy taxi from Wickenburg, to PHX when a luxury vehicle is available at Roadrunner Limousine? Roadrunner Limousine, serving Wickenburg, and Phoenix, Arizona, provides exceptional service for its executive clients. Our executive guests expect reliable, convenient and comfortable transportation to or from Wickenburg, and the Phoenix Sky Harbor International Airport. As important as it is to provide our executive passenger with optimum service, working effectively with their executive assistants and travel coordinators makes everyone’s job easier. For them, we have a state-of-the-art online booking and account monitoring system accompanied by a highly trained staff to help develop and execute the most sophisticated travel plans that any busy executive or corporate group might need. First Time Coming to Wickenburg, Arizona – Did You Know? Henry Wickenburg came to the area in search of gold. He was rewarded with the discovery of Vulture Mine, where over $30 million in gold was found. There are still relics around the area that stand as a tribute to these early adventurers as well as a walking tour around Vulture Mine. It was a rough start for the town with Indian wars, mine closures, desperados, drought and a disastrous flood in 1890 when the Walnut Creek Dam burst. Despite these trials and tribulations the town continued to grow. In 1895 the railroad arrived in town. The historic depot still stands today as the Wickenburg Chamber of Commerce building. For a more in depth history or event information, please visit the Chamber of Commerce’s website at www.wickenburgchamber.com. The Chamber has a self-guided walking tour of the downtown including the jail tree that once served at the town jail and 23 structures that are on the National Historical Register. Don’t miss Gold Rush Days, in February. For the past 57 years we have celebrated our rich western heritage, including a shootout, one of the largest parades in Arizona, gold panning and a rodeo. The Desert Caballeros Western Museum, filled with western art and frontier history, has been identified as “one of the finest small museums in the state, maybe in the nation”. (Copley News Service). Today Wickenburg is known for its clean air, wide-open spaced, guest ranches, tourism and medical services sector. It is the Dude Ranch Capital of Arizona with four ranches that still offer a unique Western experience ranging from a cozy adobe hacienda to a modern ranch resort complete with championship golf course. Wickenburg is growing as a leader in the medical services sector with Remuda Ranch, for eating disorders, the Meadows, for treatment of addictions, and Gatehouse Academy, for drug rehabilitation of young adults.